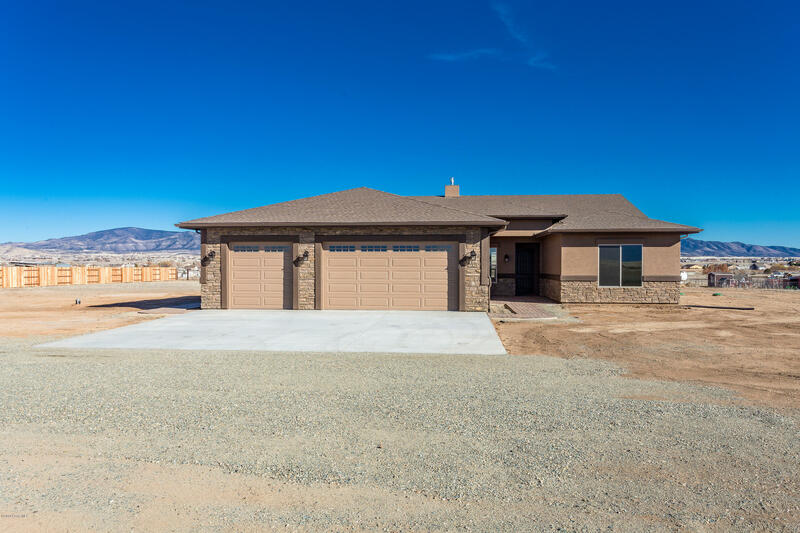 All Poquito Valley homes currently listed for sale in Prescott Valley as of 04/23/2019 are shown below. You can change the search criteria at any time by pressing the 'Change Search' button below. 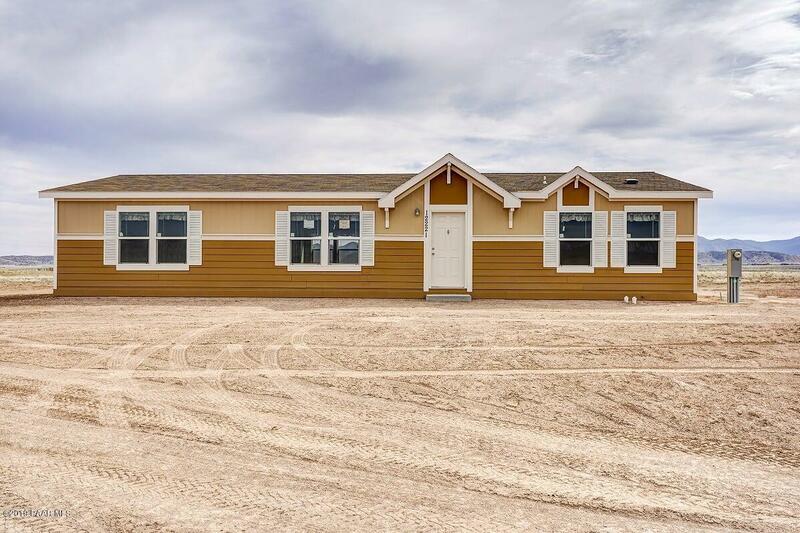 "Quality NEW CONSTRUCTION on 2.25 Acre Corner/VIEW LOT with PAVED ACCESS Featuring this 2256 Square Foot Contemporary Ranch Style 3Bedroom/2Bathroom/3CarGarage + Den with 35 GPM Well !!!! 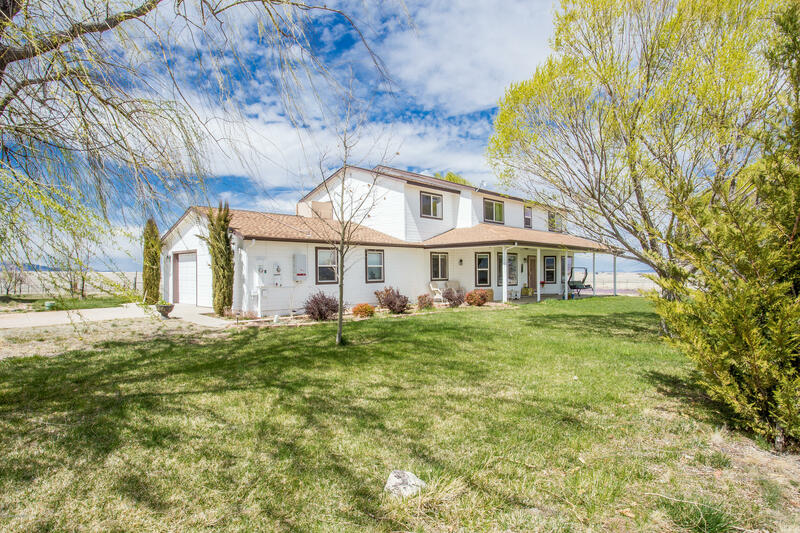 Home has an Open/Split Floor Plan, GREAT ROOM with 10' Ceilings/8'Doors, Gas Fireplace w/Stacked Stone Chimney Face, Wood Plank Tile in all Wet/Traffic areas, & Upgraded Light Fixtures throughout. The Kitchen is Well Appointed w/Truffle Stained Maple Cabinetry, GRANITE Countertops, Glass Tile Back Splash, Large"
"Wonderful Country home with amazing views of Mingus and Granite Mountain. Home is a 1200sqft 1 bedroom with 1 Full bath. Open and spacious great room has a woodburning stove, lots of windows and sits on 3 acres. Kitchen has abundant oak cabinets, counter space, pantry and dining area. Home boasts all tongue & groove ceilings, hardwood floors, central heating/cooling and bedroom/bathroom wall heaters. Laundry room has shelving and storage cabinets. Large detached workshop with benches and 220V po"
"This is your Home! 1568 sf on 2 Acres! This home features a 3 Bed, 2 Bath Split Floor plan. Great open Kitchen with Large Kitchen Island, Gray Cabinets, Beautiful Calcutta Marble Laminate Countertops. 6'' White Back splash, Farm House Sink, Pendant light over Kitchen Island. 2 x 6 Construction, Craftsman Exterior and more...Bring your USDA Buyer and get 100% Financing on this Beautiful Brand new Home!" "Beautful 3 bedroom 2 bath, 1531 s.f. 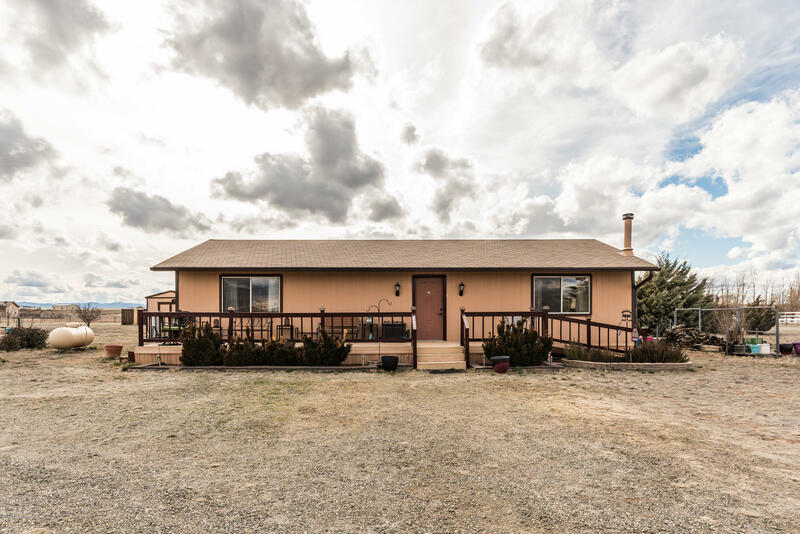 brand new doublewide on 2 acres of horse property with amazing panoramic views and lovely sunsets! The open floor plan has a very spacious feel and the level lot is a blank slate for your landscaping ideas! High producing private well. Come and take a look at this lovely home. Your clients will not be disappointed!"